After spending 9 years competing on the Freeskiing and Freeride World Tours I have now retired from following the tour. I won the Freeskiing World tour in 2009 and 2012 and was on the podium 22 times. I am still pushing myself in the skiing through skiing more in the mountains and doing a competition or two every season. I own my own gym Wright Training www.jhwrighttraining.com that works with bringing people back from injury and getting people to perform at their best in the mountains. 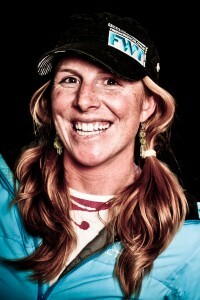 I cofounded the Jackson Hole Babe Force www.jhbabeforce.com in 2012 which brings ladies together to share their passions in the mountains and push themselves out of their comfort zones. I am also starting to coach women’s camps in Jackson Hole and had my first annual women’s camp in Chamonix, France last year 2015!